John VI was a Greek nobleman, statesman, and general. 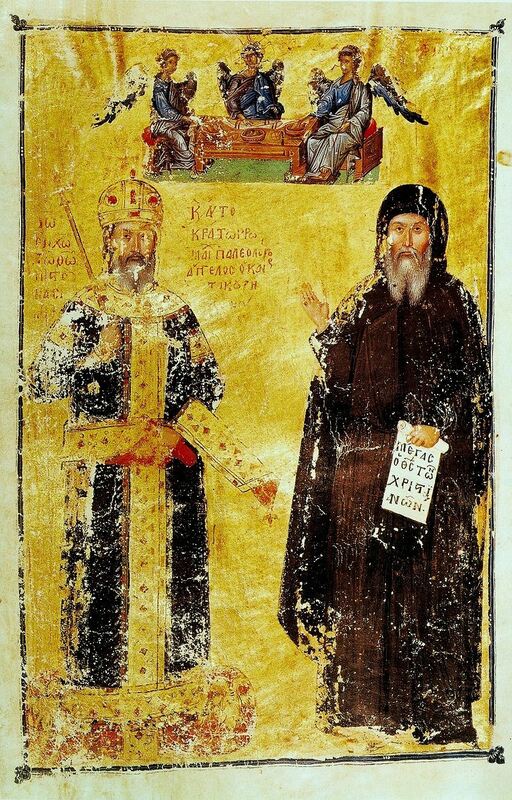 He served as Grand Domestic under Andronikos III Palaiologos and regent for John V Palaiologos before reigning as Byzantine emperor in his own right from 1347 to 1354. During John's reign, the empire—already fragmented, impoverished, and weakened—continued to be assailed on every side. The Genovese, disregarding the terms of the treaty which permitted their colony at Galata, began fortifying and arming it. Their customs dues undercut the Byzantines and meant that as much as 87% of the revenue from control of the Bosphorus went to them instead of the empire. John VI attempted to rebuild the shattered Byzantine navy in preparation for the war he expected to follow a reduction of Constantinople's own customs dues. He won the war but lost the fleet, and John VI's attempts to expand taxation to repay the government's debts were unpopular. He was removed from power by John V at the end of 1354.